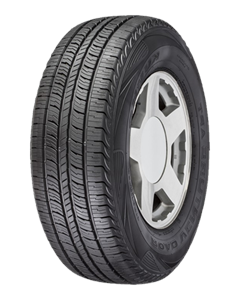 The Road Venture APT KL51 is a street terrain tyre designed for tremendous all-season traction, low noise, and long mileage. The Road Venture APT KL51 has improved aquaplaning resistance which allows excellent grip when both accelerating and braking on wet and dry road surfaces. This is a tyre that provides high levels of driving stability and ride comfort with low road noise. High levels of driving stability and ride comfort. Excellent grip when accelerating and braking on both wet and dry road surfaces. Sorry, we currently do not have any tyres with the Road Venture APT KL51 pattern in stock.